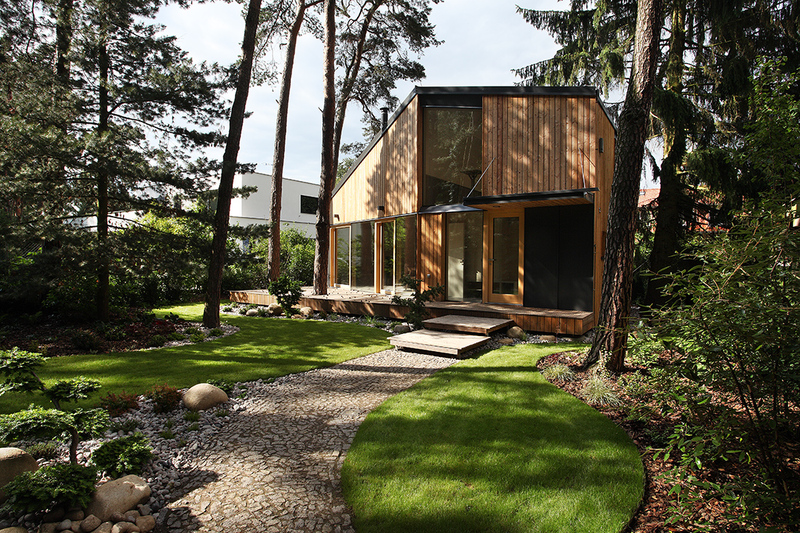 Architect Pavel Horák is one of the leaders of the Prodesi/Domesi architects team who design and construct modern wooden buildings. He founded the company in 2002 together with architect Václav Zahradníček. As of today, they are responsible for hundreds of built projects mainly in the Czech Republic and Slovakia. Many of them are of a low-energy or passive standard at the request of the investors. In 2005, both partners started Salón drevostavieb (Exhibition of wooden houses) -an international non-competitive exhibition, which is organised annually and presents, by way of presentations and publication, selected, recently built wooden buildings by Czech and Slovak architects. Pavel Horák graduated from the Faculty of Architecture CTU in Prague. Even then he was mesmerized by architecture from wood, which has been a part of his life ever since. He marvels at architecture with a simple idea and a philosophical depth. He lectures on modern wood buildings in professional forums across the world and sits in the panels of architectural competitions. The projects and buildings of Prodesi/Domesi architects are regularly published in accredited professional and lifestyle media as well as in prestigious professional publications.